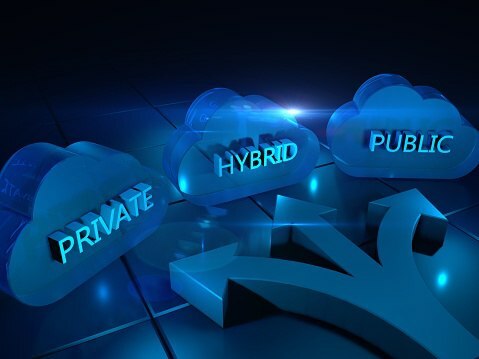 As you survey the landscape of IT today, one of the hottest buzzwords is multi-cloud, usually accompanied by a variant of "Any App, Any Cloud," or a position that the company is agnostic to cloud vendors. In reality, we shouldn't blame them too much. No one really likes vendor lock-in and unless you are a major player with your own large-scale cloud business, you have to be multi-cloud. But like the term "Internet" in the late 90s and "cloud" itself not five years ago, multi-cloud is much more about using the term and having the label than what exactly it means or how enterprises benefit from it. 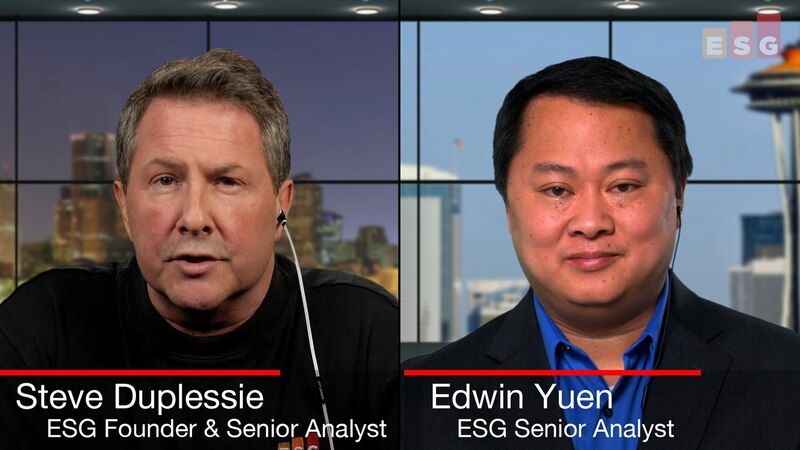 In the video below, Steve Duplessie interviews me about the impact of multi-cloud support for vendors and customers. So Oracle just announced the new 8.7 version of the OS that powers its ZFS storage systems; I try to avoid writing about specific product news too often in this blog because a) you can get product news elsewhere and b) product news is usually just iterative and rarely does it contain that much deeper industry insight. But stick with me here, as this does get way more interesting than the move from version 8.6 to version 8.7 might suggest. 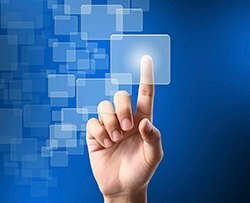 To give a “you are here” starting point, the ZFS platform has been improving for years now and is a storage system to be reckoned with – its lickety-spit speed just got further enhanced with added flash pools and its tight integration with all-things-Oracle makes databases and apps verily sing. 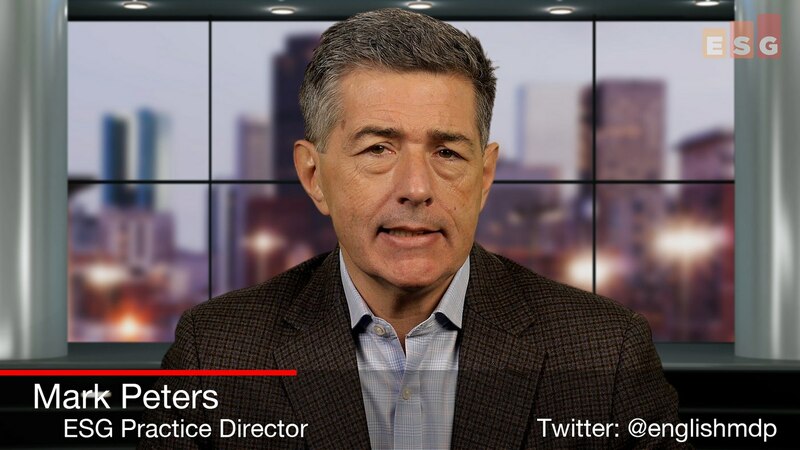 While the meatier part of the news is pretty well conveyed in the new moniker Oracle is using for its offering – “Cloud Converged Storage” – even that doesn’t quite do justice to the required-data-revolution-made-manifest that is represented here. I learned this past Saturday that my good friend and Trend Micro CTO, Raimund Genes, passed away suddenly last week. Raimund was only 54. In 2015, ESG did an in-depth research project on cyber threat intelligence usage at enterprise organizations (i.e., more than 1,000 employees). The goal of this project was to determine how large firms were using threat intelligence, what challenges they faced, how they were addressing these challenges, and what their strategies were moving forward. 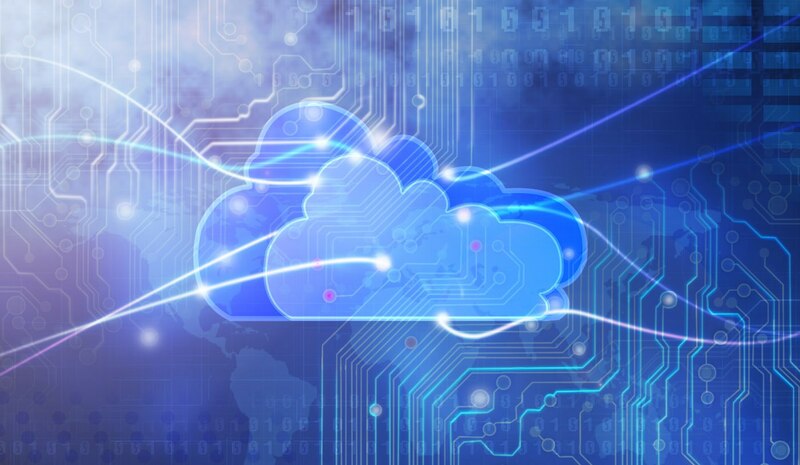 It certainly is an exciting time in the cloud landscape, with all the major vendors starting their summer show season and making their major announcements. At first glance, it can be a confusing world, with all the vendors giving similar messaging and along with it, promoting extremely similar features and functions. One of the prime differences between the cloud vendors is how they are reaching out to and marketing at enterprise customers. For the "new," cloud-born vendors, much of their work started either with consumer applications or by getting new, emerging companies to use their services. Great examples of this would be Amazon Web Services (AWS) and Google Cloud. AWS certainly has ramped up its enterprise focus over the past two years, with a growing enterprise sales force and new purchasing options. As I noted in my blog about Google Next 2017, Google has made a significant shift with a new go-to-market effort for enterprise customers and new product announcements with a distinct enterprise product set. Both of these companies are leveraging their innovations and targeting enterprises with them. Software-defined perimeters (SDP) is an emerging security architecture that restricts network access and connections between allowed elements. With origins in defense IT infrastructure and spreading to enterprise use, it promises to help mitigate a broad set of security vulnerabilities that afflict IT infrastructure protected by conventional perimeter security. 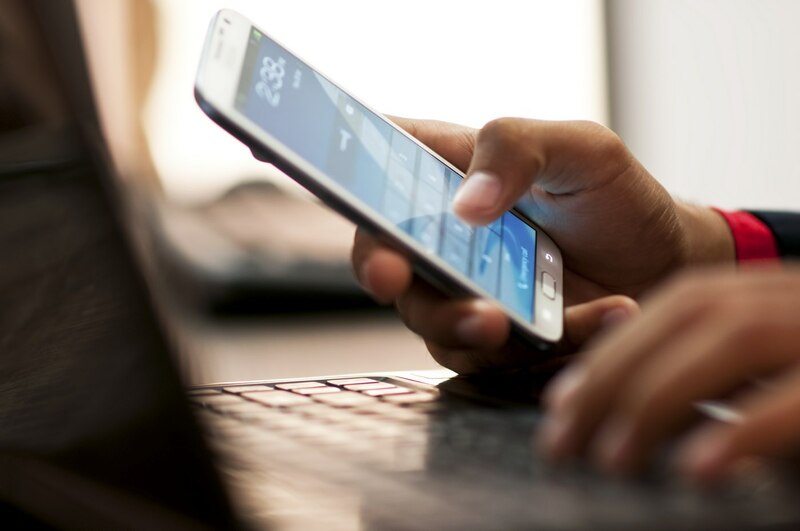 SDP serves to identify the source and destination of a network connection and assumes that there is no trust between potential participants and that a secure connection is only granted when explicitly permitted. Using a cloud platform like Google's can enable network engineers to shift to a strategic focus. Pretty much every IT practitioner I talk with agrees that “hybrid IT” is going to be the norm for the foreseeable future. Conceptually I agree…and I recently blogged about a very simple way to look at this hybrid IT world that will underpin the delivery of contemporary applications (take a look at that video blog, "The Three-legged IT Stool"). Wi-Fi calling promises to help people who have crappy mobile phone coverage. I had a good experience and a crappy experience. Here's what happened. I go on a mini-rant on networking configurations. I was visiting an office building with a colleague and I lost coverage deep in the building, and so did my colleague, who had a different phone and carrier than me. He had a conference call to make. One choice was to go outside but it wasn't ideal so he switched to Wi-Fi calling and it all worked fine within the building. A few years ago, ESG (and other) research indicated that security concerns posed the biggest impediment for more pervasive use of cloud computing. What happened next? Business executives and CIOs found that cloud agility, flexibility, and potential cost savings were too good to pass up, creating a “cloud or bust” mentality. 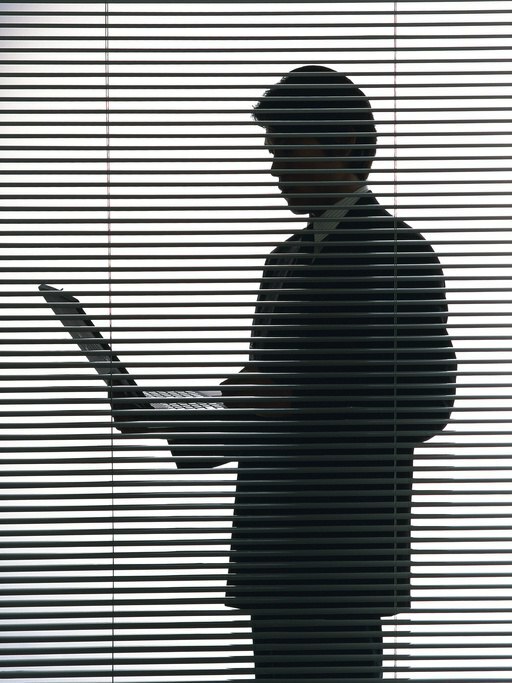 Naturally, CISOs had to do their best and go along for the ride whether they were ready or not. 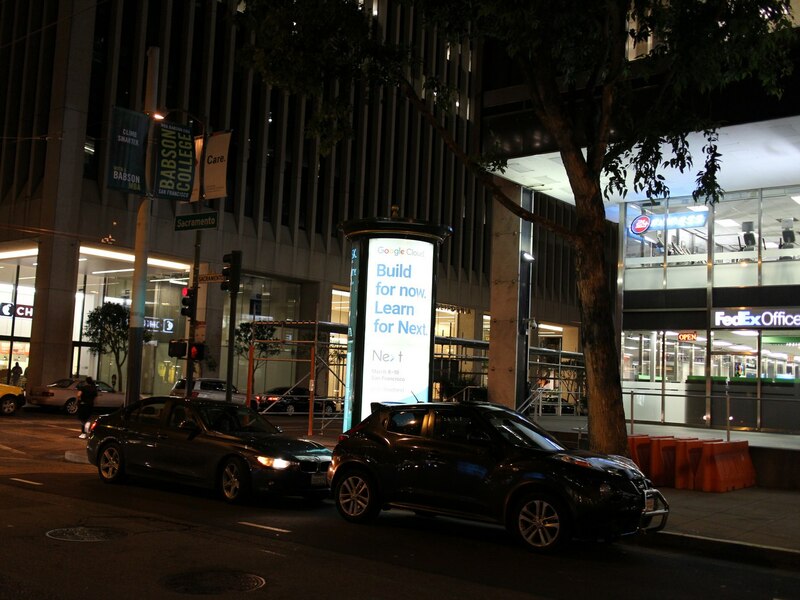 Last week we saw the rebranding of Strata + Hadoop World as the new Strata Data Conference. This name change reflects the nature of the content, which is decreasingly about specific Hadoop projects and increasingly about how to get analytics value from any data anywhere. Beyond that, the show reinforced several key themes I've been predicting for some time. 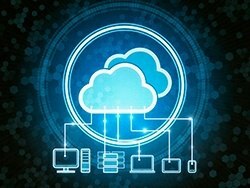 Much disagreement may arise in discussing whether IT organizations ought to use one public cloud service provider (CSP), or choose to work with 2 or more public cloud providers. The rationale on both sides seem rational. I’m not talking about what IT organizations are doing, but I’m trying to be prescriptive on what they ought to do. So what is the right strategy for cloud computing deployment when choosing the right number of CSPs? Google finished its Cloud Next Conference last week, and my colleagues have written several blogs and we have shot an On-Location video for this cloud computing conference. My take is that Google has come a long way in adding new capabilities including partnerships, product features, pricing, tools, devices, and reference customers. As Google’s offerings expand, it faces new challenges to create a coherent and comprehensive offering for its many customer types including enterprise, ISVs, and end-users. Why Is IR Automation and Orchestration So Hot? I couldn’t attend the RSA Conference this year but many cybersecurity professionals and my ESG colleagues told me that incident response automation and orchestration was one of the hottest topics in the halls of the Moscone Center, through the bar at the W hotel, and even at the teahouse on the garden at Yerba Buena. 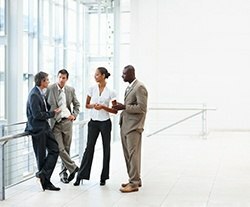 Last week, I posted this blog describing my interview with IBM security GM, Marc van Zadelhoff, where we talked about his perspective on the transition from security analytics and operations point tools to an integrated event-based security analytics and operations platform architecture (SOAPA). 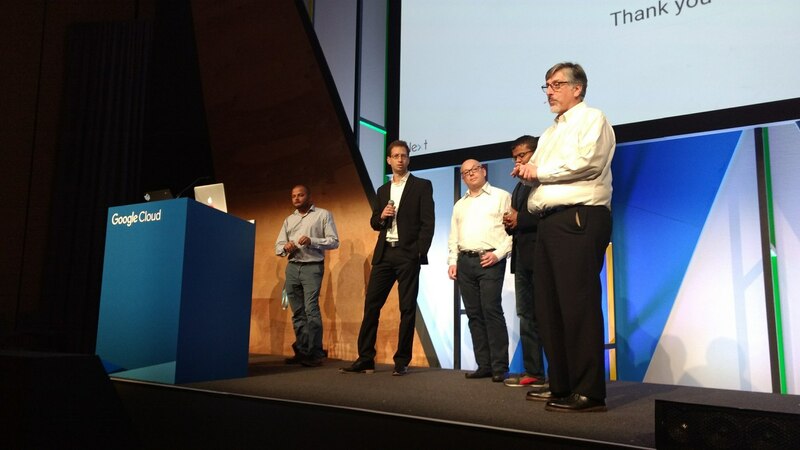 Google Cloud Next is now in its third day. Mind set change is often required to adopt new solutions. For example, a horse and buggy driver will have a hard time figuring out how to harness the 200 “horse power” under the hood until he realizes that you don’t need to handle 200 reins, and you just have a steering wheel, one gas pedal, one brake, and maybe a clutch. 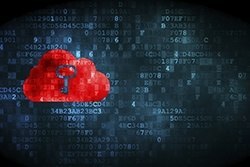 What about security for cloud computing and apps? Take the issue of ensuring two factor authentication to login to a system based on what you know (the password) and what you have (some special key). The classic method from the old days was to use something like a token (a hardware or software key) that generates a one time code. That worked fine, but it required looking after the key very carefully so it wouldn’t get lost. Furthermore, if you log into multiple systems, you may get issued multiple keys, each with a different expiration date, and it starts to get unwieldy. Google announced support for Security Key Enforcement for GCP and G Suite apps via two-factor authentication (2FA). The use of security keys (provided by FIDO UFA compatible keys, such as those from Yubico) is not new, as it was supported for several years. What matters for the enterprise is the model for using 2FA in Google’s world. You don’t need to take care of each key like it’s precious. You can pick them up from a cookie jar by the handful and stash them away anywhere. You can even attach one to your laptop’s USB port and have it there all the time. This is similar to the pets (a special companion that you care for) vs. cattle (just an animal in a herd) analogy in scalable cloud architectures. Just what is a security operations and analytics platform architecture (SOAPA) anyway? In the past, most enterprises anchored their security analytics and operations with one common tool: Security Information and Event Management or SIEM systems. Now SIEM still plays a major role here but many organizations are supplementing their security operations centers (SOCs) with additional data, analytics tools, and operations management systems. 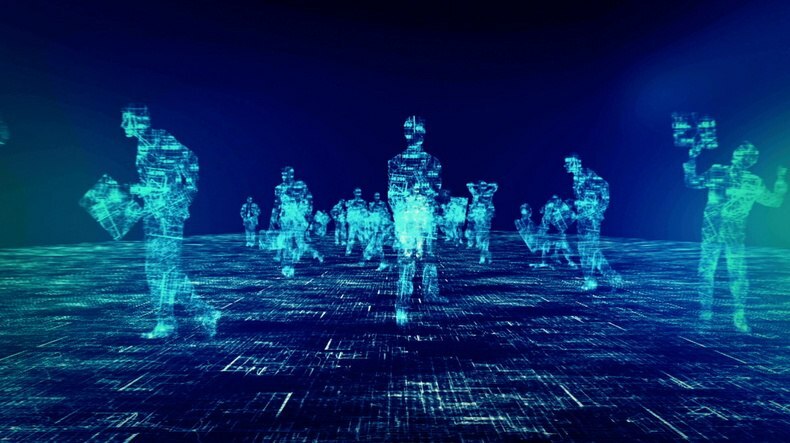 We now see SOCs as a nexus for things like endpoint detection and response tools (EDR), network analytics, threat intelligence platforms (TIPs), and incident response platforms (IRPs). 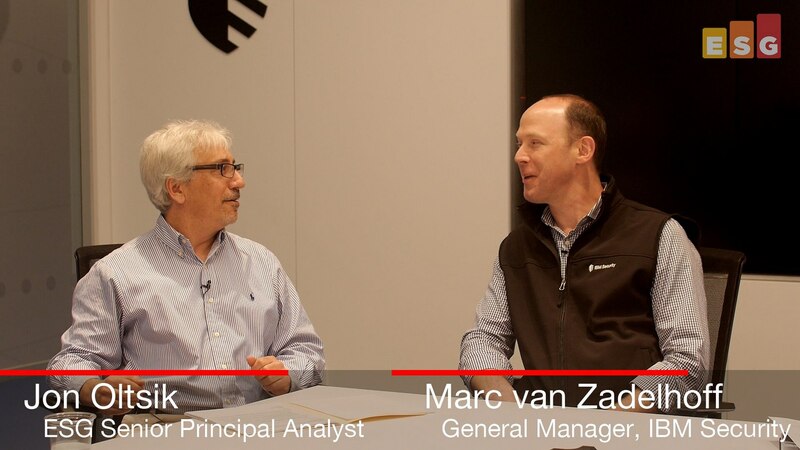 In this second of a two-part video blog series, my colleague Jon Oltsik and I discuss some of the themes and takeaways from RSA Conference 2017. 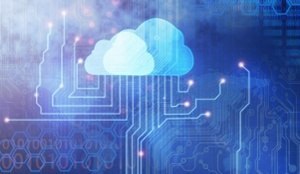 Closing the cloud security readiness gap with platforms: Many vendors at RSA were offering cloud security solutions to help organization close the gap between the use of the cloud services within their company and their readiness to secure that use. These solutions spanned the gamut of “from,” “in,” and “to” cloud security with respect to security from the cloud (i.e., security-as-a-service\SECaaS), infrastructure security (workloads, APIs), and cloud app security (i.e., CASB), respectively. Compounding the readiness gap is good old heterogeneity -- most orgs use many cloud apps and multiple IaaS providers. In fact, ESG research reveals that 75% of organizations consuming IaaS services today do so from more than one CSP. These adoption dynamics create the need for cross app and cross cloud coverage which is why major players such as Cisco, Trend Micro, and Symantec are highly focused on the breadth of their cloud security portfolios while cloud security specialists such as CloudPassage, Netskope, Illumio, vArmour, Threat Stack, and others are also helping companies close the gap with offerings that continue to offer both breadth across cloud services and depth of functionality. Google Cloud Next is now in its second day. 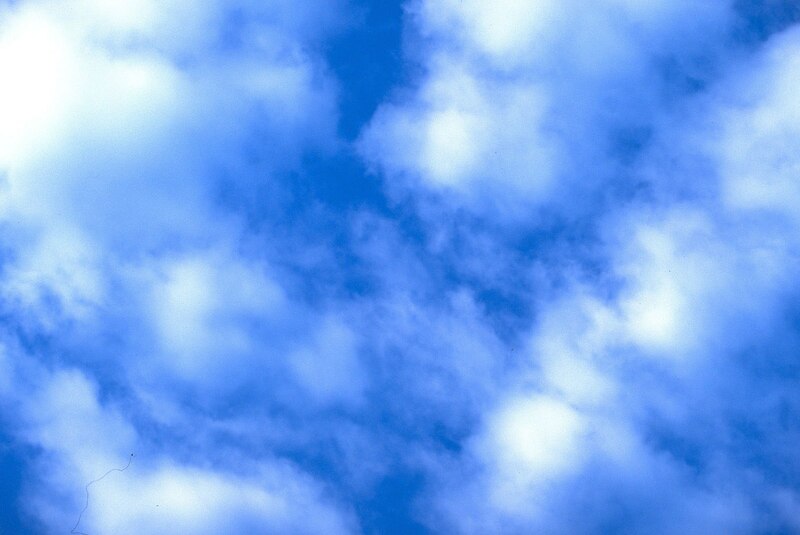 Google Cloud emphasizes the new innovative capabilities of its platform, but given that many enterprise workloads are still traditional legacy workloads, such as those written in Java, or off-the-shelf ones purchased and deployed many years ago, Google Cloud either possesses, or recently announced, elements that assist customers in the journey. There are virtual machine migration tools as well as App Engine Flexible that supports language runtimes. 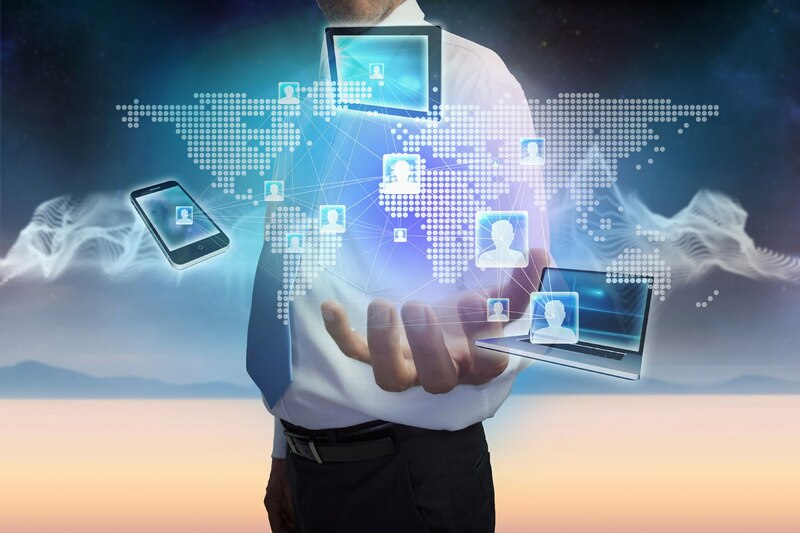 Better VPCs and VPNs enable creation of hybrid clouds or shared projects with a common network. These are just a few of their offerings that fill in “holes” in their offerings before. These are areas that people often overlook when looking at Google Cloud. When I talk with companies and vendors about public cloud, Amazon AWS and Microsoft Azure are always at the forefront of discussion. Right behind them is always a discussion of Google Cloud. Google Cloud is separate from the other two because everyone expects that Google will become a force in enterprise IT but the question is when and how. I think that we have now seen the enterprise cloud awakening of the slumbering giant called Google. Language can be frustratingly ambiguous. Or delightfully ambiguous. When you read the title of this blog, did you parse it as Google is a machine that is learning to compete? Or that machine learning will be how "the Google" competes? Both work, and both are true. First meaning: there is clear evidence Google is making huge progress in cloud services to better compete against its rivals. Executives at the Google Next 17 conference cited a competitive win rate of 60% in the last quarter, with best results when the company gets a fair shot and customers dig deep into the technical differentiation. Sure, Microsoft is entrenched in most enterprises, and AWS has ridiculous momentum, but Google has invested $29 billion over the last three years to innovate in its own way. 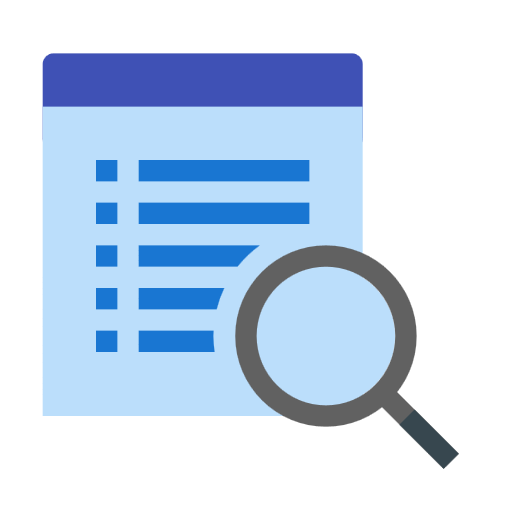 Many of the services' advantages are subtle but impactful, such as more granular billing for data warehouse consumption with BigQuery, custom configured compute instances, or the potential for API access to data services already within Google's domain. These have real benefits in reducing costs and increasing value of data. Machine learning even helps Google be more efficient, like finding ways to reduce data center cooling costs by 50%. As ESG research shows the financial cost/benefit equation is still the top perceived advantage for cloud-based databases, then Google should win simply on price efficiency for compute and storage resources. See a past comparison of costs here. Assuming buyers take the time to understand this and don't default to their Microsoft sales teams or Amazon's DevOps audience dominancy. There’s no doubting that IT remains an immensely complicated thing to do well – from the advanced hardware engineering to the sophisticated software algorithms, and from the demanding operational complexities to the driving business necessity to do more with less…..delivering successful IT – and hence successful IT outcomes – remains a practical challenge that can be a major point of business advantage and differentiation for those organizations that get it right. However, just knowing it is undeniably complex to actually produce and deliver does not mean that we have to treat its overall conceptual design with the same reverence for the eventual details. Sometimes a little bit of simplification – even intentional over-simplification – can be good; it allows us to look at things with a clarity that the actual physical manifestation can at times make impossible. 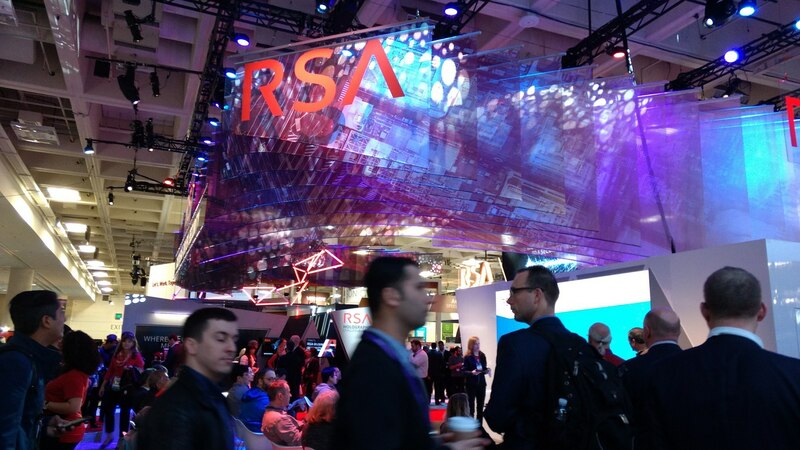 As the RSA Conference a friend and I repeated the exercise from last year's conference to evaluate the user interface of the security solutions shown on the exhibit floor. What we saw last year was mostly horrible, with a few exceptions. Have things improved? Does the raising of the bar based on good consumer user interfaces affect the way enterprise security solutions are designed? We were cautiously optimistic. We were disappointed yet again. The enterprise storage industry is heating up. 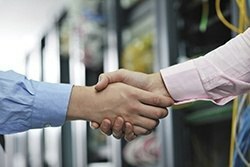 Today, HPE announced that it has entered into a definitive agreement to acquire Nimble Storage. HPE will pay $12.50 per share, for a nice round purchase price of $1.0 billion. The move makes sense on a number of fronts for HPE. The first and obvious benefit is that it injects new life and technology into the storage portfolio. While HPE already had some nice storage offerings including 3PAR and the StoreVirtual lineup, HPE’s overall revenue took a hit last year, with quarterly revenue down over 10% year over year. Although these results were similar across many of the big storage players, it is time to act. The cybersecurity skills shortage is nothing new—I’ve been writing about it for years, as have other analysts and researchers. I’ve also done countless presentations on this topic. Here’s a video where I’m interviewed on the cybersecurity skills shortage at the RSA Conference a few years ago. I also presented on this topic at the RSA Conference that same year. 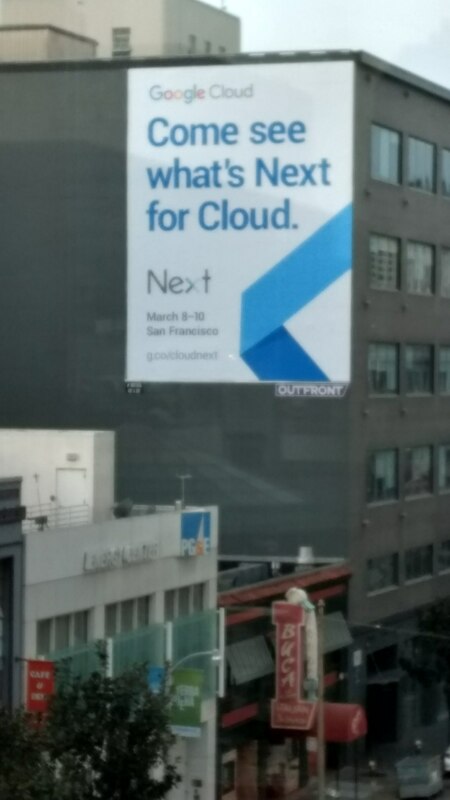 Google Cloud Next - What's in Store Next? Google Cloud Next runs from March 8th to 10th, 2017. The streets of San Francisco are already plastered with many signs announcing the event, as shown here. And it’s sold out already! 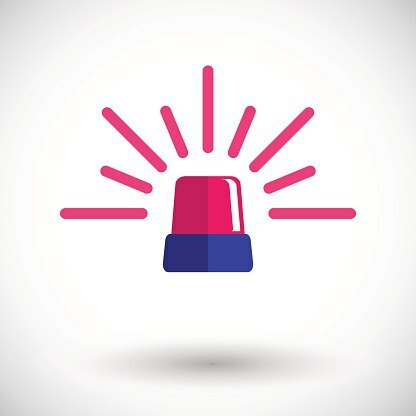 When it comes to incident detection and response, enterprise organizations are collecting, processing, and analyzing more security data through an assortment of new analytics tools – endpoint detection and response (EDR) tools, network analytics tools, threat intelligence platforms (TIPs), etc. 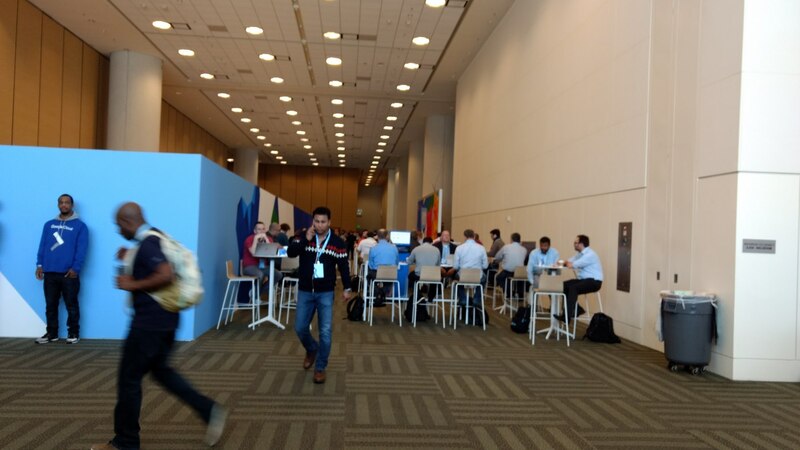 RSA Conference 2017 is now a wrap and blogs such as these that attempt to summarize such a content rich event are challenged to do so in any sort of brevity, but, alas, I will try. 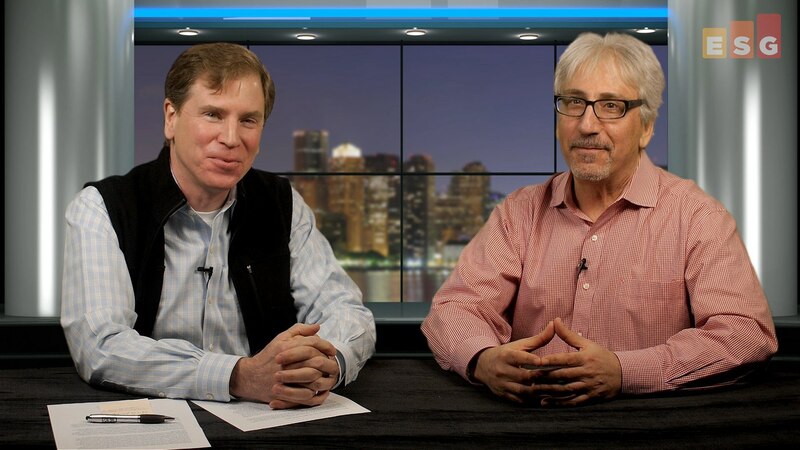 Colleague Jon Oltsik, who fought being placed on the injured reserve list the week before RSA and missed the event for the first time in over a dozen years, and I offer a review of just some of the news from the show in this first of two video blogs. Here are some of the threads we pull on. Given my interest in cybersecurity skills and training, I’m contacted by academic institutions, professional organizations, and training companies with news about some type of cybersecurity education curriculum. This isn’t surprising given the global shortage of cybersecurity skills. New ESG research discloses that 45% of organizations report a problematic shortage of cybersecurity skills in 2017. Clearly we need more smart and well-prepared people to enter the cybersecurity ranks but it’s important to note that most cybersecurity professionals don’t enter the workforce directly from college or training programs. According to research conducted in 2016 by ESG and the Information Systems Security Association (ISSA), 78% of cybersecurity professionals follow a more indirect route. These folks start their careers as IT professionals and make their way into cybersecurity as their careers progress. (Note: The two ESG/ISSA research reports are available for free download here).